The International Fair Play Committee’s (CIFP) “World Fair Play Awards” event took place in the splendid setting of the Egmont Palace in Brussels, Belgium over the weekend. This was the 54th year CIFP presented its awards. 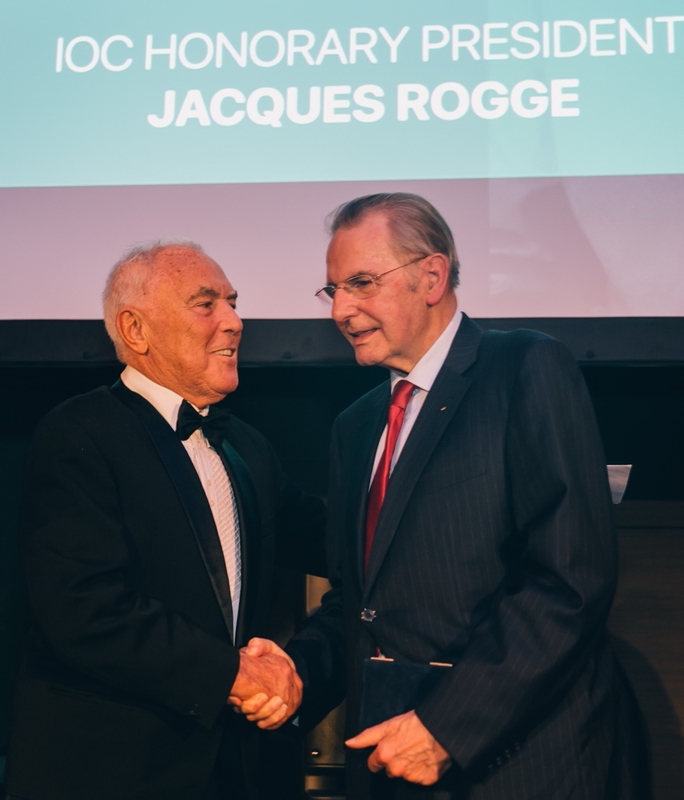 Last night’s celebrated winner of the Jean Borotra Trophy was Comte Jacques Rogge, President of the International Olympic Committee (IOC) between 2001 – 2013, currently its Honorary President. Upon receiving the award, a visibly emotional Jacques Rogge stated, “There are two phrases that I have always disliked. Nice guys finish last and that Winning in sport is not the most important thing, but the only thing”. He also praised the work of the CIFP and called for the intensification of its efforts. The 200 + gala attendees included Belgium’s First Deputy Prime Minister Didiers Reynders. A highly emotive, personalized video message by Dr Thomas Bach, current IOC President was also shared. The award event was jointly organized with Panathlon Wallonie-Bruxelles. HSH The Princess Nora of Lichtenstein and Mr David C. Ulich, President of the Foundation for Global Sports Development. The CIFP Council also decided to re-name its Youth Fair Play award that it had been awarding since 2012 to the “Jacques Rogge Fair Play Trophy for The Youth” award.